FREE ! 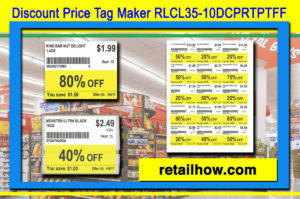 – Discount Price Tag Maker – 20 Tags (21.9″ x 2″) / Page (8.5″ x 11″) – Print on regular or sticker paper. 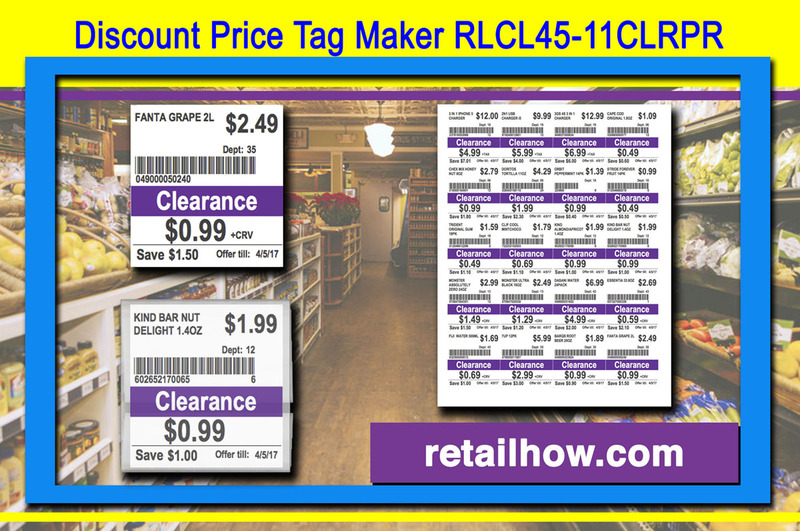 Discount Price Tag Maker RLCL45-11CLRPR is a Microsoft Access Application, used to generate Price Tag or Price Label for connivence store and grocery store. 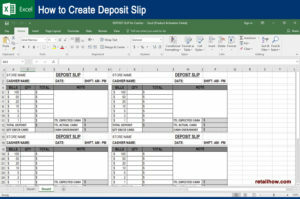 The label or tag is designed in Report Design and retrieved data from the Table to create the label. 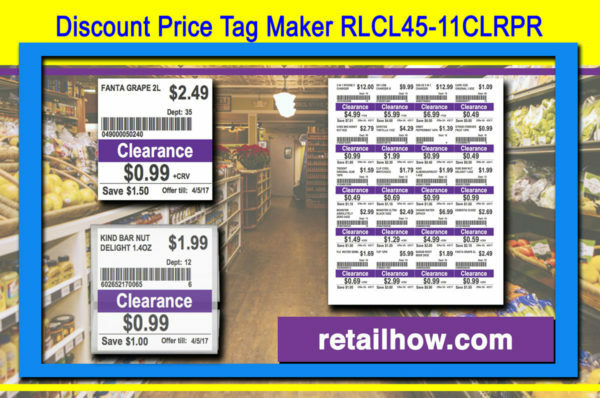 Why price tag or price label is so importance for the store? Most of us often see price tag only for the price printed on it because that’s the most important thing for us. But actually, that tag has more important role rather than giving the price information only. 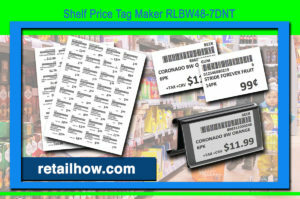 The tag contains information highly crucial for product inventory and other information. In retail industry, it can make a difference between efficiency or not. When you are managing your own retail business, it is very important to manage the inventory to make sure proper supply is available to meet the customers’ demand. 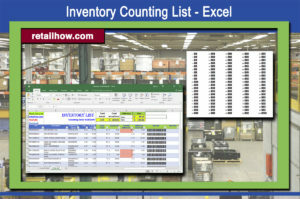 Good inventory management is also important to manage efficient supply chain of the products. 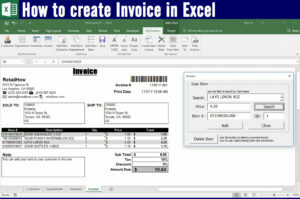 With the right and well-designed price tag it can make everything more efficient. Learn more about price tag and how to optimize it roles for retail business here in retailhow.com. 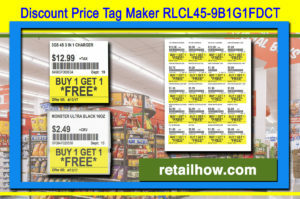 This is the one stop online portal with very useful resources focusing to using tag management in retail business. Once you learn how to optimize shelf and price tag management for your retail business, how it is time to practice the new knowledge. 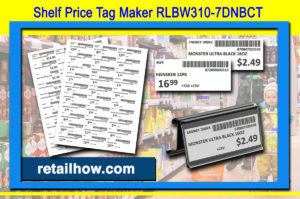 First you will need a reliable tag maker application to create the right tags for your actual needs. 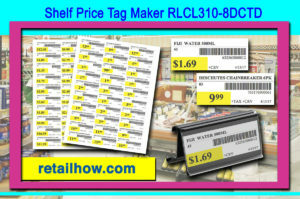 More than just the application, you will also need tag printer and scanner to make everything works seamlessly. You don’t need to worry about a thing because you can always rely on RetailHow. This portal has complete reviews and guidelines of tag related products. From tag maker to barcode scanner, there are many products reviewed there allowing you to compare and make the right decision which is the best one to buy. To get Free download please Subscribe to our YouTube channel, Like us on Facebook and send us a message in Facebook asking for coupon code.